Great news – our fabulous new counter in Selfridges Birmingham is launching today! Birmingham is such a great city, with bags of style and a buzzing night-time scene, making it perfect for Illamasqua, so we are really excited about the launch. 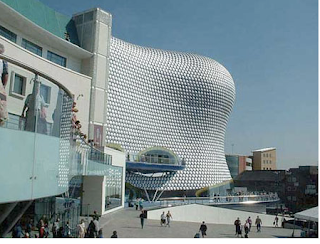 And the Bullring is the perfect setting for our new home as it is the place to shop for that night-time look. At present, we’re retailing via a temporary counter while the finishing touches are being added to our permanent home. We’re launching with all of our best-selling products, with the full range due to go live in December. There’s a great team on counter, ready and waiting to help you discover your alter ego. So if you’re in the area, come check it out and treat yourself!